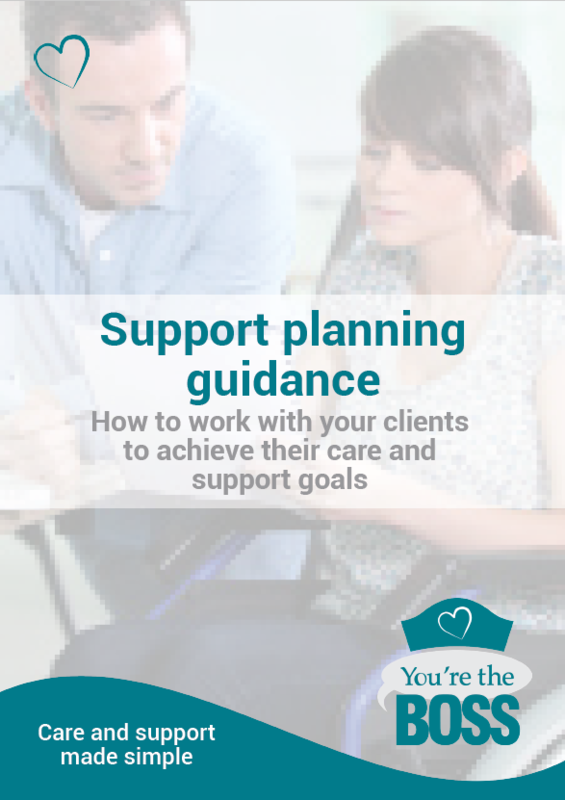 This bundle contains a booklet on support planning (care planning) to guide you through the things that you need to think about with your client. The worked example then shows you how you can use the support planning form to help you and your client make progress. 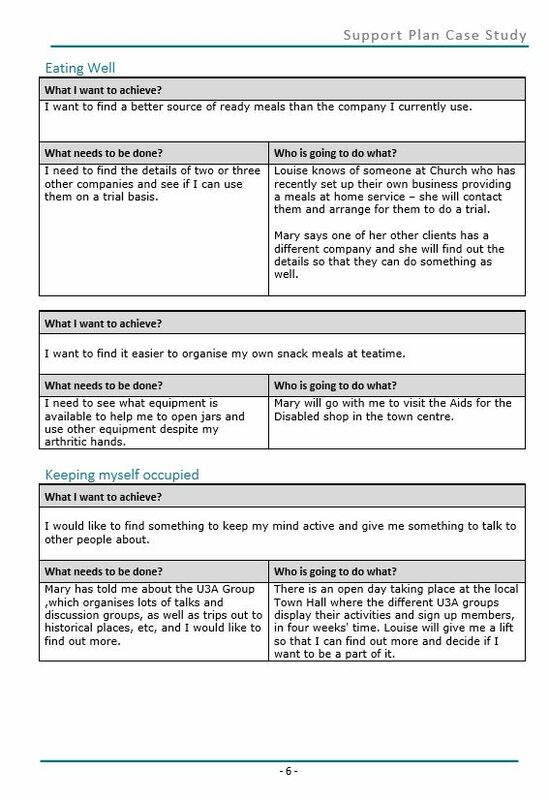 There is then a template form for you to use, alongside a template review form. 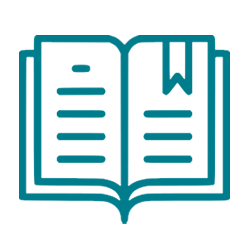 The support planning booklet is a 6 page PDF document. 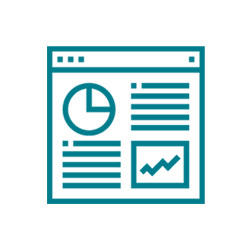 The support planning case study is a 13 page Microsoft Word document. It gives background to the fictitious client and then demonstrates how a support/care plan might look for the individual. It also contains a fictitious review of the support /care plan. 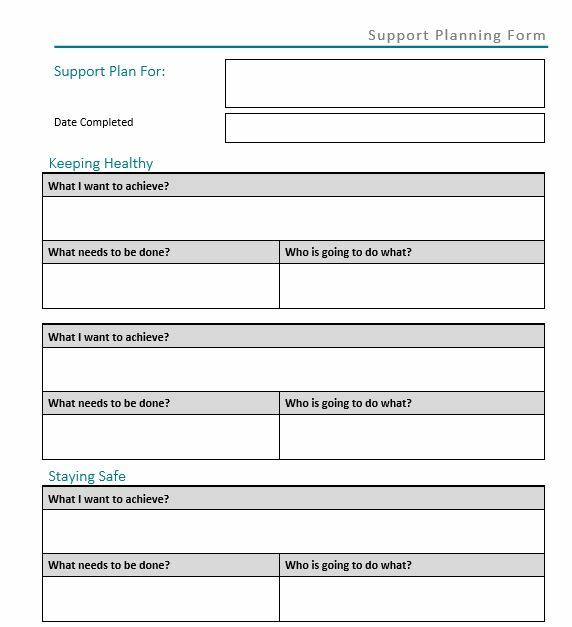 The Support Planning Form – is a 4 page Microsoft Word document which provides a form for you to complete a care/support plan. 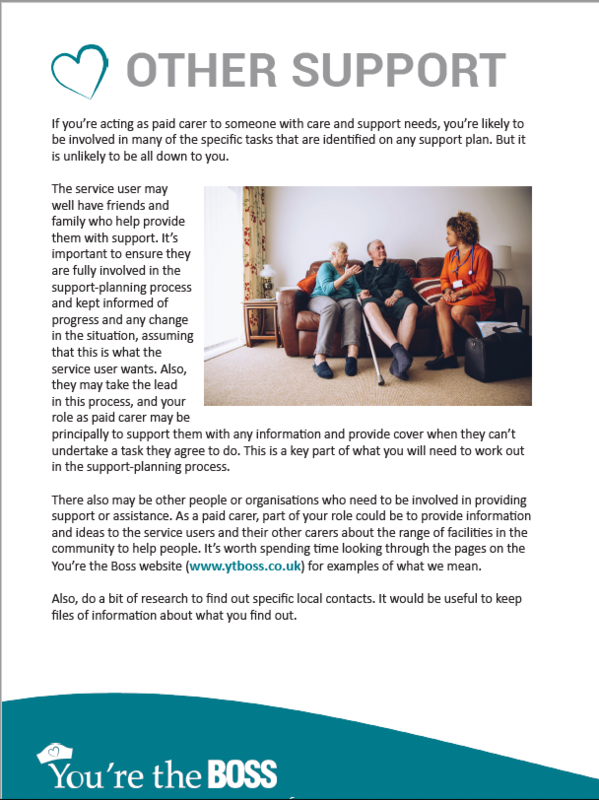 The Support Plan Review Form – is a 5 page Microsoft Word document which provides a form for you to review a care/support plan.